By “obstacle course of water therapies”, I mean only good things. The Se Spa at the Grand Velas Resort Riviera Maya is without a doubt one of the best spas I have ever experienced. That’s saying a lot, considering I am a complete spa addict and have visited a great many in my years. The Se Spa has perfected its services, with an important feature being their variety of water rituals and therapies. It’s really that good. I consider the Spa at Grand Velas Resort Riviera Maya to be the Best Resort Spa in Mexico. The hydrotherapy pool at Se Spa is enormous. There are a lot of amazing spas at resorts scattered at destinations throughout the country of Mexico. However, the Se Spa at Grand Velas Resort Riviera Maya is the best resort spa in Mexico for several important reasons. Entering the men’s side of the Se Spa, guests look down into the cavernous pool area. 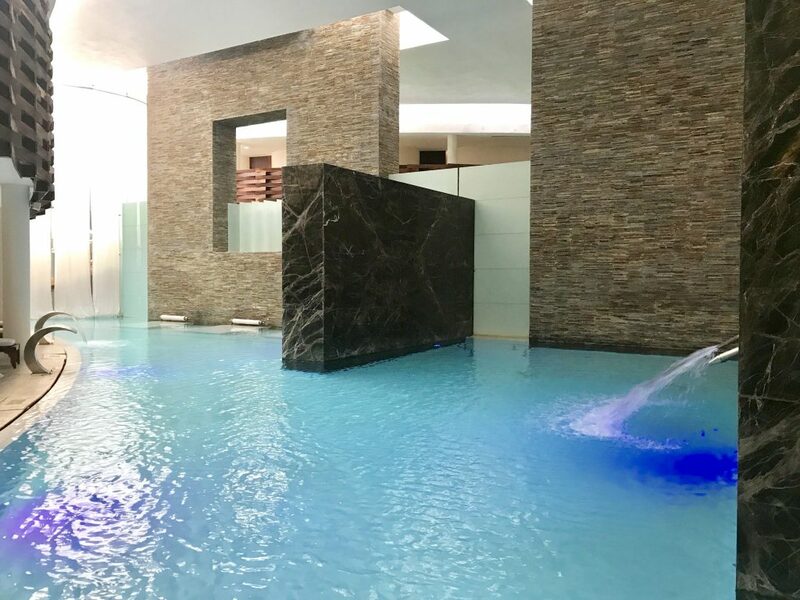 Upon arrival, guests who have booked a treatment are shown to the locker rooms and invited to enjoy the vast hydrotherapy areas as a complimentary inclusion. 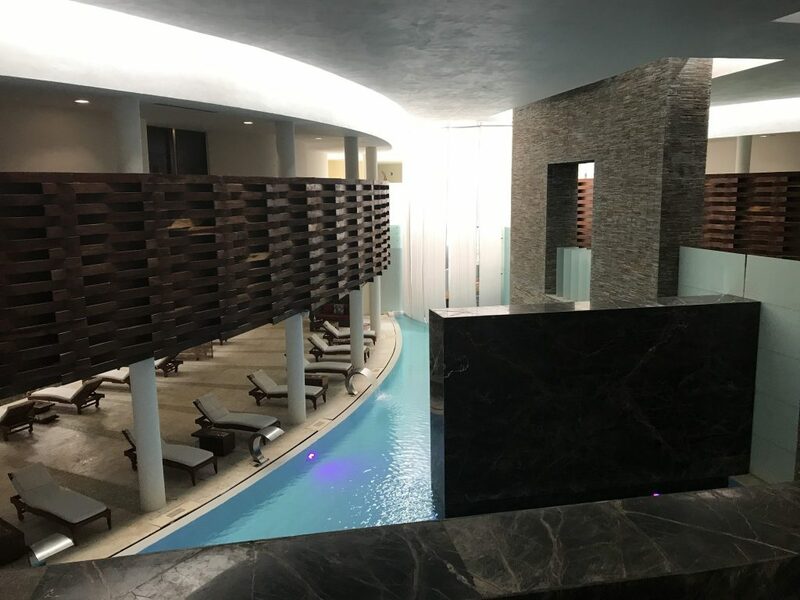 With separate facilities for men and women, the sheer size of this spa is mind boggling particularly when you learn that these are mirror images of each other. 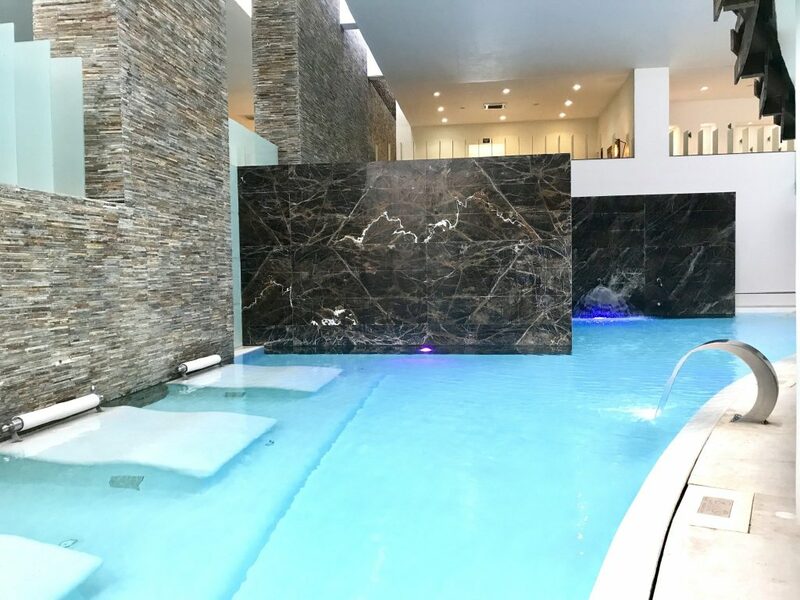 All hotel guests can visit this portion of the spa for a fee, and stay all day if they want to by paying a $50 fee even without booking any treatment. 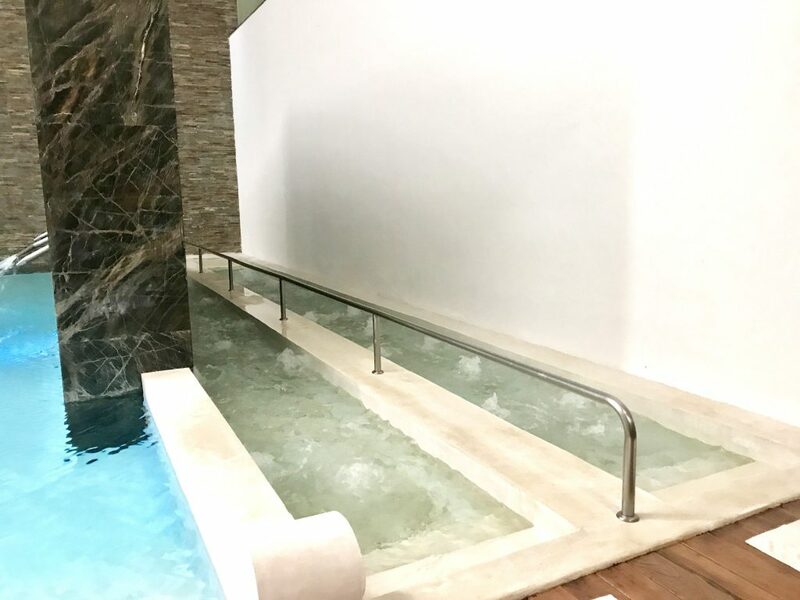 Here is the obstacle course that the spa calls the Riviera Maya Water Ceremony, combined with the therapies in the Experience Sensation Pool. This is truly a luxury all-inclusive resort experience. The Hot Sauna at Se Spa combines heat with designer sweating. 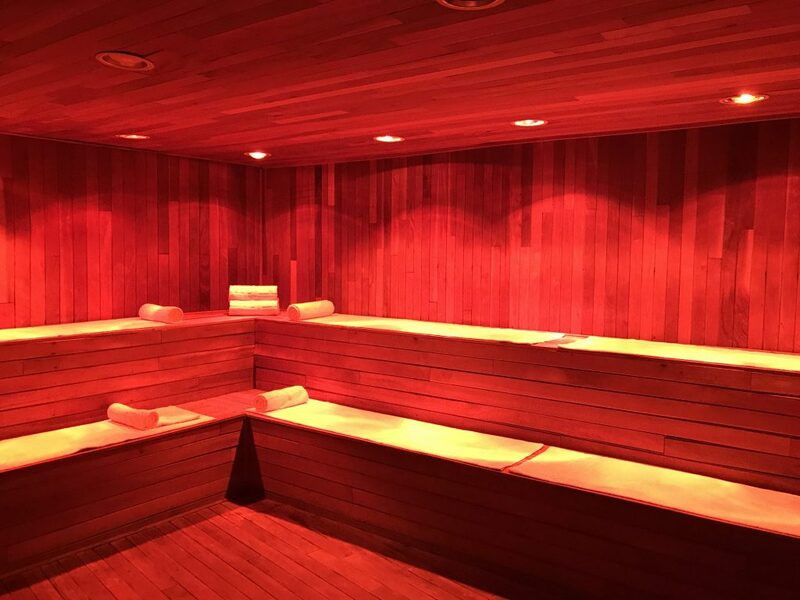 The Hot Sauna at Se Spa combines heat with color therapy. Warm water on the right and freezing on the left, these troughs are hydrotherapy treatments for the feet. The super forceful hydro jets at Se Spa are meant to massage and relax the neck and upper back. 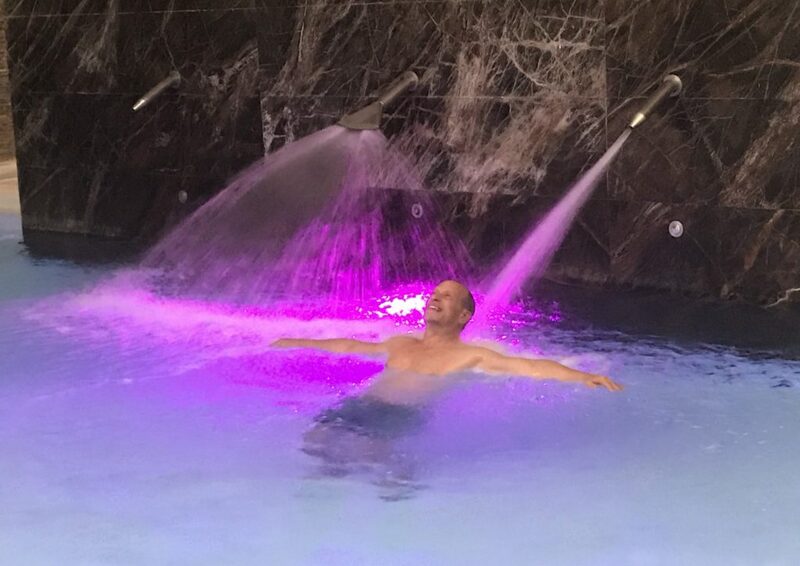 The bubble beds at Se Spa are so relaxing, I pushed the button three times to repeat the process! And all that was before I even reported to the treatment rooms for my massage! 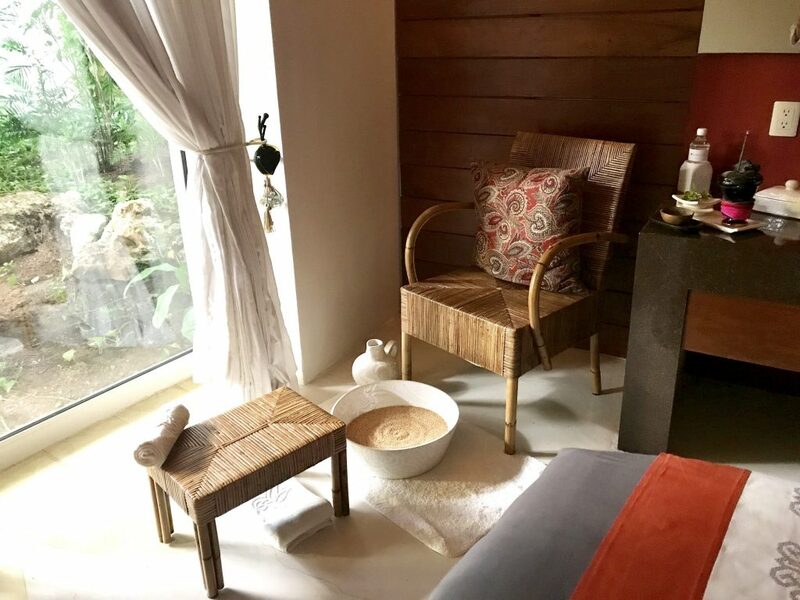 When it was time for my massage, I waited for my therapist while drinking a delicious Mayan concoction called Ponche, believed to open the senses and calm the body. (As if after all that water therapy I needed more calming!) It was delicious, and just the sustenance I needed after my hydrotherapy immersions. 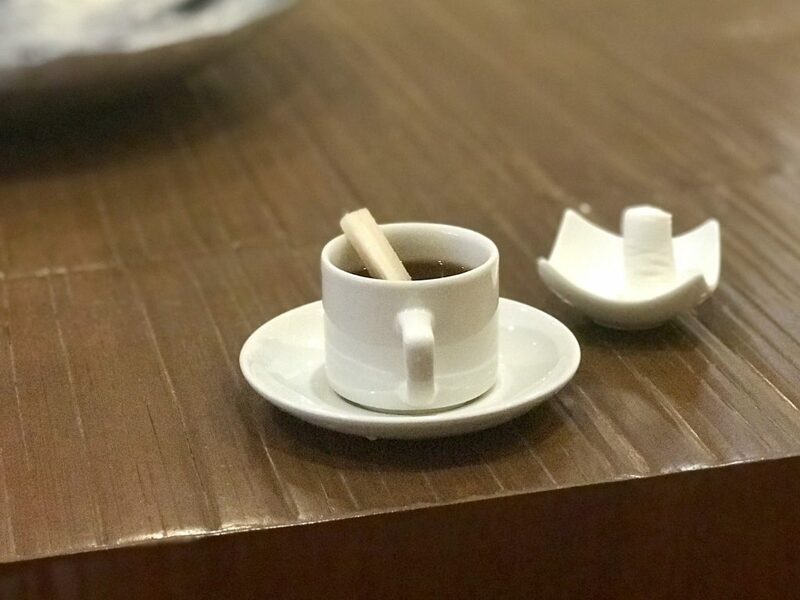 The traditional Mexican Ponche drink is a hot “tea” made from tropical fruit and spices. My therapist Liliana led my to my treatment room, which was both peaceful and luxuriously zen. Incense was burning, which I later learned is an ancient Mayan ritual ingredient made from tree resin called Copal. It smelled so good I wanted to bring some home. Crushed herbs, Mayan incense and Shaman-blessed water all helped to set the tone. 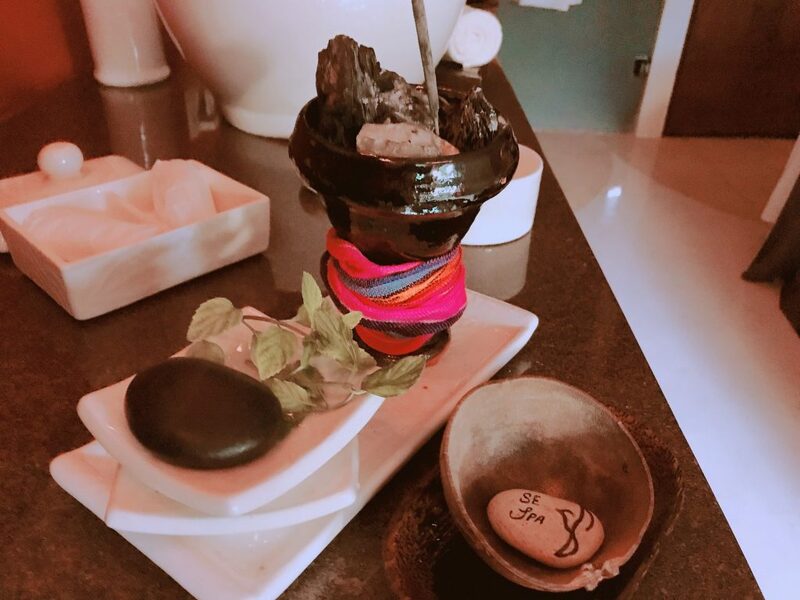 Many elements in the room had Mayan significance, from a ceremonial rain stick to vanilla poured in the bathwater to the music playing in the background. The entire experience was culturally fascinating and educational at the same time. I received the Organic Kaab Honey Experience, with elements important in the Mayan culture. The local honey bee has been a source of food and trade since ancient times, and is revered throughout their history. The bee itself, I learned later, is stingerless and tiny – the size of a mosquito. Together the Melipona bees produce a large quantity of honey that provides a source of commerce to local villages. I brought some home, and it is uniquely delicious and not cloying with sweetness. As I relaxed on the table, Liliana spread honey all over me like a massage oil. She then began the massage, with just the right amount of firmness and relaxation. I melted into the bed, teetering on the edge consciousness. I did not want to fall asleep and miss this amazing experience! After massaging both sides, Liliana led me over to the hot bath nearby. Yes, there was a bathtub in the room with gentle jets and relaxing waters. While I soaked, she poured several concoctions into the water. My so-so Spanish only caught one of them – it was a large pitcher of vanilla, which honey-colored the water and smelled divine. Getting ready for my massage, I put my feet in warmed millet seeds to bring calm and serenity. After the bath was drained and I dried off, I got back on to the massage table and waited for what came next. The final part of this experience was an invigorating application of smoothing lotion. 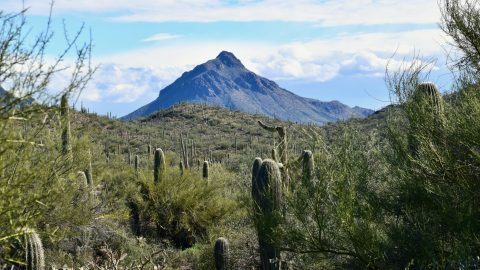 Feeling exfoliated, hydrated and fully pampered, I was officially cooked – a limp noodle. All in, I had been at the Se Spa enjoying treatments for nearly four hours. Every minute was perfectly executed and managed at the highest level of service and comfort. Definitely the best resort spa in Mexico. 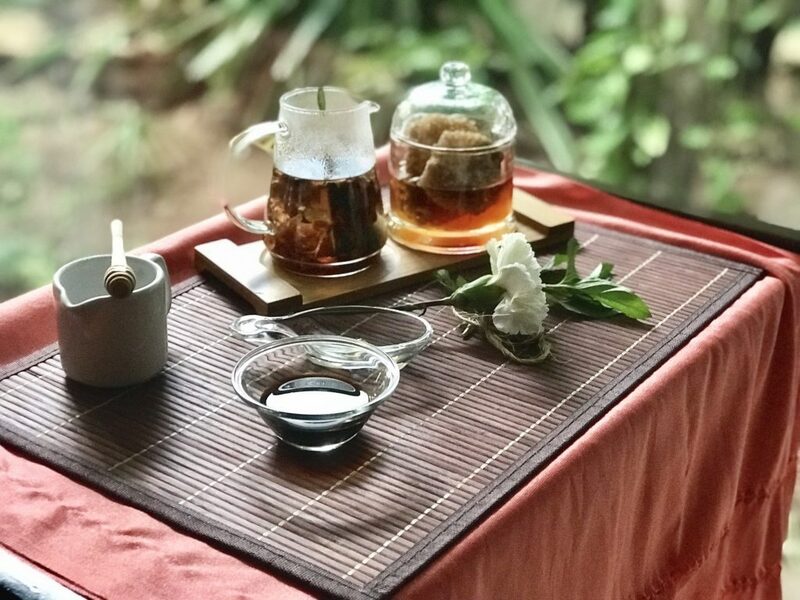 See here for the menu of services available at Se Spa. Let’s face it – this is a luxury 5-star resort, and it is not inexpensive to stay here. Having said that, the price is definitely worth the experience and I consider it money well spent. 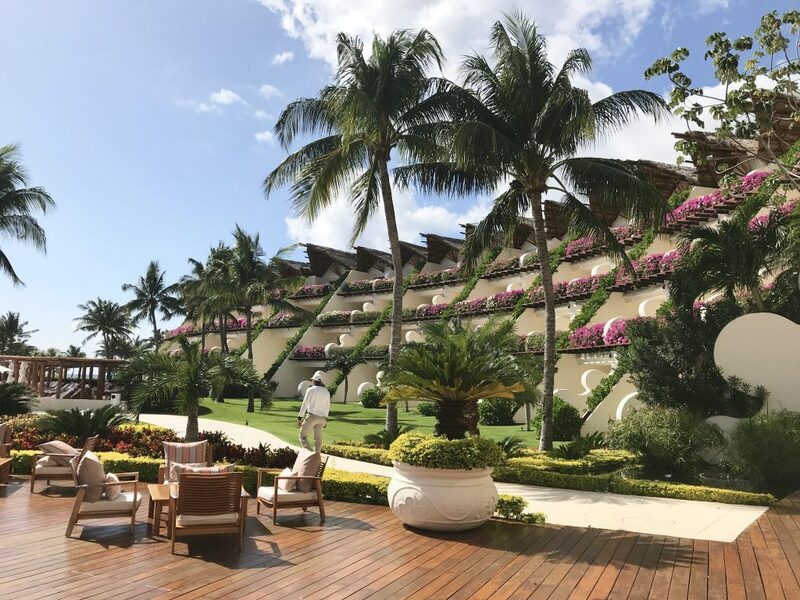 As a Riviera Maya all-inclusive resort, the nightly room rates at the Grand Velas Resort Riviera Maya start to make more sense when you consider that all meals, drinks and some activities are all included. The restaurants are world-class, with Michelin-starred chefs and 5 Diamond ratings. The grounds and facilities are gorgeous and impeccably maintained. Staff is extremely friendly and accommodating, and seem truly dedicated to every guests’ needs. Rooms overlook the pool and ocean at the Grand Velas Riviera Maya Resort. And yes, room rates are on the higher side. Rooms begin at around $800 USD per night for two persons with a jungle view, $1,200 per night with a pool view, and $1,400 per night with an ocean view. 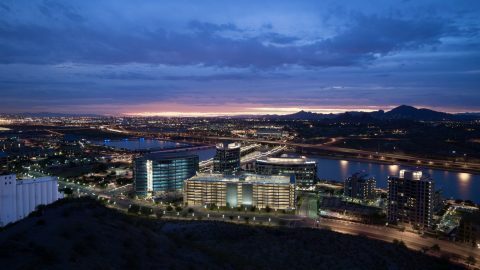 When you consider this price is all-inclusive with 5-star restaurants, alcohol and activities included, guests really get a lot with their stay. To visit the Se Spa at the Grand Velas Resort Riviera Maya, hotel guests can enjoy the water therapies for $80. Spa treatments and massages range from $236 to $342 USD. I’m already saving up for my next trip to the Grand Velas Resort Riviera Maya. It’s 100% worth every peso. This spa definitely sounds like a true miracle. Thank you for the specifics and I’ll be saving up for my next trip to Mexico too! It’s an amazing place – have fun when you go!